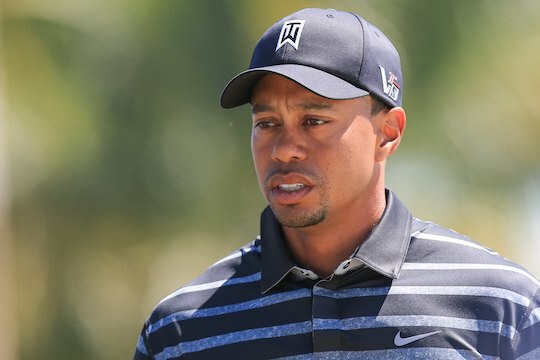 Tiger Woods is now likely to miss the remainder of the season after revealing he has undergone yet further back surgery to alleviate pain in his back and legs. However, Woods said via his website he still hopes to return to professional golf. “The surgery went well, and I’m optimistic this will relieve my back spasms and pain,” said Woods. Woods said the surgery, termed a “minimally invasive Anterior Lumbar Interbody Fusion” at the L5/S1 site, was his choice after attempts at relieving pain through rehabilitation, medication and other therapies proved ineffective at halting the back spasms and nerve pain he has been experiencing. Woods, who clearly looked uncomfortable earlier this week at his course unveiling ceremony in Missouri, says he plans to rest for “several weeks” before beginning therapy and treatment. News of yet another operation should effectively rule Woods out of golf until at least later this year and in the process missing the remaining three Majors of the year. Woods last played at the Dubai Desert Classic, where he shot a 77 and then withdrew before round two. On Tuesday, Woods hit a pair of wedge shots at Big Cedar Lodge in Ridgedale, Missouri, in a ceremony to unveil the Payne’s Valley course, a new 18-hole championship golf course to be designed by his TGR Design firm and opening in 2019. Woods hit his first 100-yard shot into a guarding water hazard before doing better with a second attempt.